The Board of Directors is a collection of Godly men and women who provide direction, vision, and leadership to Baxter. Hailing from six states and numerous churches, professions, backgrounds, and age groups, this diverse body is unified under the goal of advancing the Gospel through the work at Baxter. 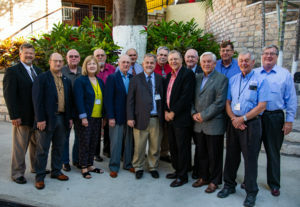 Members of the Board of Directors, listed below, participate in yearly meetings both in the United States and on Baxter’s campus in Tegucigalpa. They attend graduation ceremonies each December, and throughout the year provide prayerful leadership and diligent fundraising. We thank each of them for their leadership and service to the Lord through the work at Baxter.